We have been a bit out of sorts on the crafting front for one reason or another. 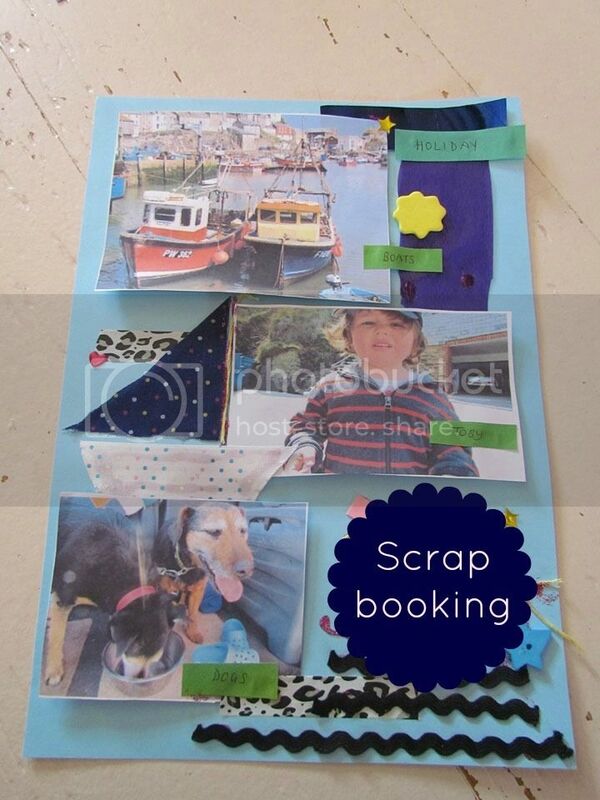 Little man can get quite determined in his likes and dislikes and crafting has been off the agenda for a little while. 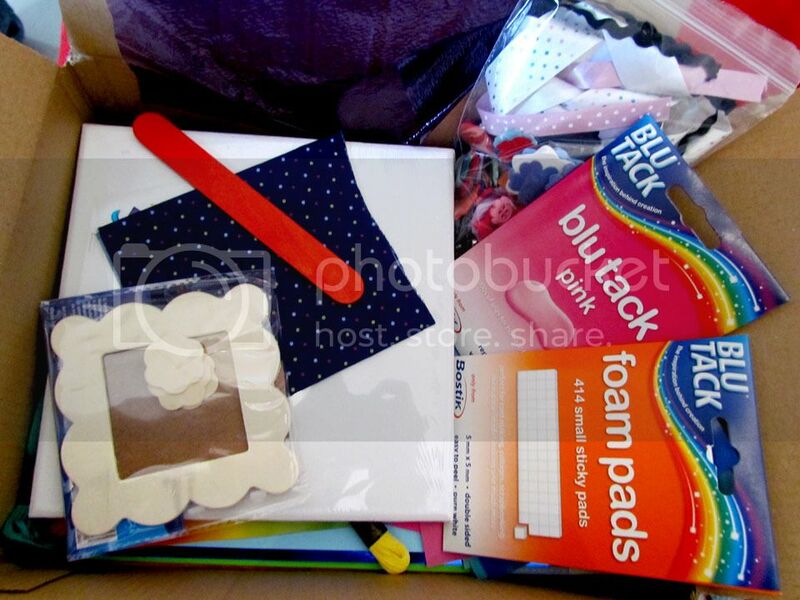 However, I decided to try again and bring out our Bostik Bloggers craft box, full of goodies, for our latest theme of scrap-booking. 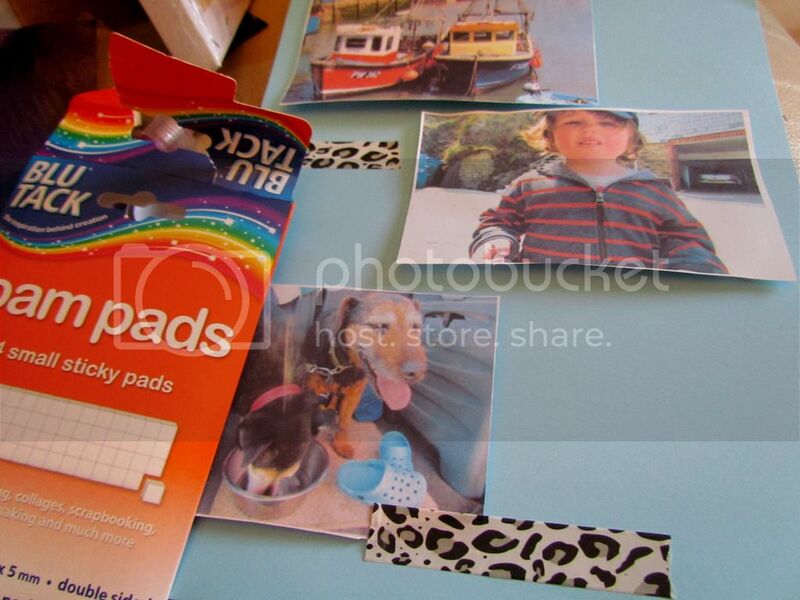 We stuck our pictures onto the card using the Bostik Foam Pads to give a 3D effect and then started to decorate using our lovely box full of embellishments - Washi tape, stickers, foam shapes and some coloured paper to make labels. 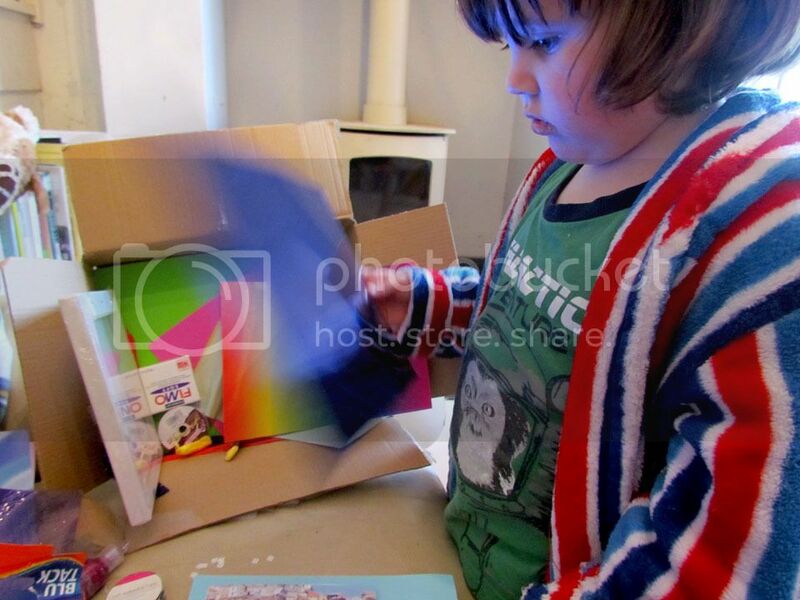 Toby found some blue cellophane that we glued on and with some material scraps we decided to make a little sailing boat. Some thread became the mast pole and some rick rack were the waves. Finally, we stuck it onto the wall with our cute pink Bostik Blu Tack. Now we have a holiday remainder to talk about and cheer us up on these wet and windy days.